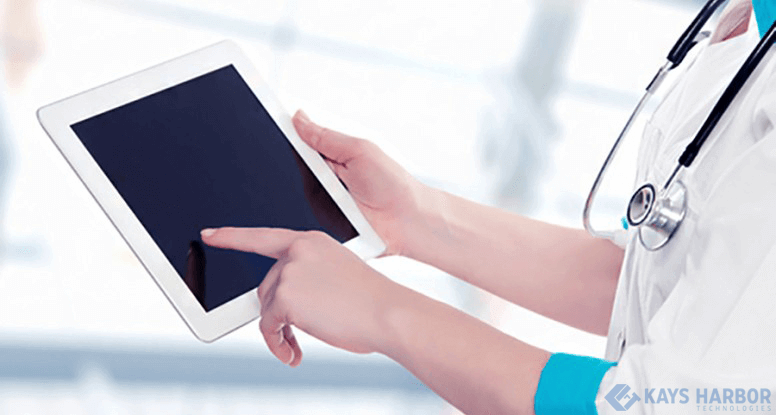 Why take your healthcare practice and hospital mobile? Planning to take your hospital on mobile? The right time is NOW!!! Mobile technology has transformed almost all walks of our lives, be it our work, travel, food, education, home services or healthcare. Mobile is particularly important in healthcare, considering the stakes – both for care givers and care seekers, and for the industry on a whole. This report by McKinsey shows some interesting trends in how healthcare has responded to technology. The most important factor for all the stakeholder involved in healthcare is time; and mobile enables immediate access. Many hospitals and clinics may be doing excellent in their current web based processes by following a streamlined process for EHR (Electronic Health Record) and HIE (Health Information Exchange). However, going mobile brings that immediacy in the operations. When every minute is critical, a faster processing of applications and reports enables quick decisions, and hence better care. Mobile Healthcare IT solutions can really provide a user-friendly patient care model which is a strategic extension of your current web based processes. Patients now have an access to gamut of benefits at just a tap of their mobile phone, be it about receiving alerts for their last scan report, for medication instructions, setting up appointment reminders, seeing history of specific drugs, and virtually for anything and everything. Mobile based healthcare solutions can contribute to a healthier lifestyle by offering alerts for instructions on diets, tips for precautions, or community participation where patients can connect with other patients online to share experiences and seek directions. As it is true for other aspects of consumer behavior, patients tend to interact with other patients to share knowledge and history, whether for specific drugs, rehabilitation process, or general comments on the physicians. It fosters a culture of interactivity and trust. When patients have guided care plans right in their pockets, the rate of adherence to instructions increases, which means a better success rate for your physicians. Any process or technology that facilitates interactivity and that brings operational efficiency contributes to the success rate. Physicians can use the image man technology in mobile devices, such as to record a surgery in real time to study tumor, and then share it online with experts. Even patients can see the scan results or reports right in their device when they are away from a physician, such as while traveling or at work. Such a process can have real and positive impacts on results, which is the ultimate goal of any healthcare entity. Since patients, physicians, and support staff – all can have access to the same platform, the communication is always ON, instant, and engaging. People use mobile for different purpose, be it online shopping, fitness monitoring or travel reservation, and they are really prepared to use it for healthcare services too. Industry should see it as an opportunity and should be ready to go mobile to help physicians connect better with the patients, peers and staff, towards an optimized patient care process. It will also contribute to a better ROI for hospitals as a business, and that gives them a chance to invest more, and hence offer better care. 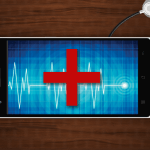 For healthcare, going mobile is not as seamless as it is for some of the other industries. For instance, there are regulatory compliances to adhere to and clinical protocols to be followed, and hence bottlenecks in decision making process. This survey by American EHR suggests that for physicians, access to technology in handheld devices is certainly useful. Still, a relatively large percent of physicians are not satisfied with the current technology that they have. Consumers are getting so used to mobile technology that it has accelerated their demands for mobile access to health information, and which is a fair call. 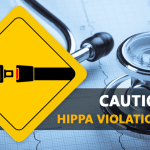 Technically, there are small challenges such as to streamline the mobile workflow for complex EHR forms, or for integration with HIE specifically for large scan pictures. Nevertheless, if the business goals are strategically aligned with the mobile technology, it is a massive opportunity for all the stakeholders involved. In the years to come, mobile will not be an option anymore. Organizations who adapt earlier will be better placed to build on their experience, and to address their organization-specific challenges. Are you ON? Kays Harbor has the right combination of people, processes and experience to plan your ‘go mobile’ strategy while ensuring that your current processes will stay aligned with your goals.